Payment for all properties in the list below may be made via PayPal - please ask for details. 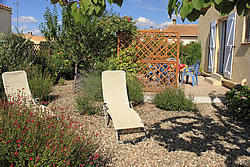 Enjoy your holiday in this charming riverside cottage, in easy walking distance to the centre of Saint-Chinian and all amenties. Sleeps two plus child, WiFi internet. Experience French village life at La Forge in Babeau-Bouldoux, in a holiday home in the heart of a typical Languedoc village. This renovated property has two bedrooms and two bathrooms. The very sunny roof terrace allows you to make the most of the weather. WiFi internet access, sleeps four. 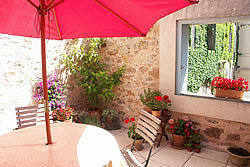 Spend your holiday in Narbonne and stay at Villa Java. Not far from the Canal du Midi and in easy walking distance of Narbonne's ancient centre your holiday at Villa Java will be a vacation to remember. Four bedrooms, each with en-suite, private swimming pool, secure parking, BBQ, Broadband internet access (WiFi). housekeeping included. Sleeps six plus one child. 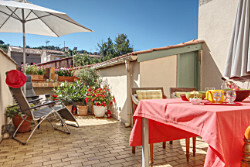 A fully renovated 1st floor apartment in the centre of Saint-Chinian, with beautiful views of the hills from the terrace. 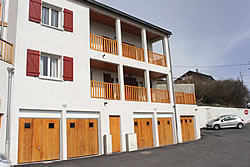 With two double bedrooms, built-in closets, fully fitted kitchen with washing machine and dishwasher, WiFi internet access. Sleeps four. A 200 year old, former wine makers house, which has been stylishly brought back to life. Original elements have been preserved where possible, and the house has been renovated and decorated with style and flair. 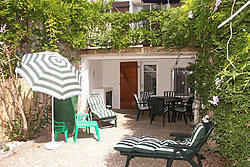 Three bedrooms, two bathrooms, courtyard garden with pool, modern kitchen, WiFi internet access. Sleeps six. A comfortable modern villa, with its own private swimming pool, close to the beaches of the Med. Three bedrooms, mezzanine, terraces, garden BBQ, sleeps eight. Broadband Internet access. Enjoy Mediterranean living at its best in this comfortable family house. 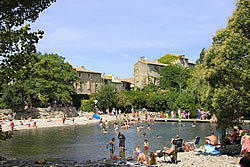 Beautifully renovated and well equipped, Le Figuier offers all modern comforts as well as river swimming close by. 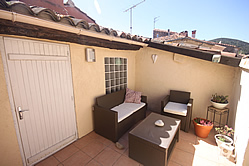 Terrace, garden, private parking, three bedrooms, sleeps five. Broadband internet access (WiFi). 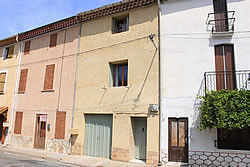 Stay in this comfortable village house near to the centre of Saint Chinian, which has recently been completely renovated. Two bedrooms, two bathrooms, broadband internet access, sleeps four. 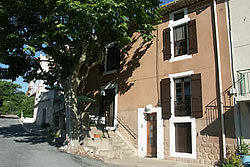 Lovely old village house in the heart of Saint-Chinian, fully renovated, with converted stable. Sleeps up to six in three bedrooms. Two bathrooms. Pretty terrace. Pleasant, leafy street steps from market square and shops. WiFi internet access. 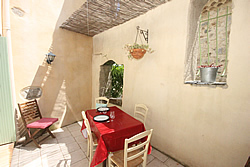 This charming village house - some 200 years old - offers comfortable accommodation for up to four persons. 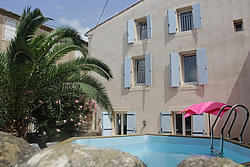 Situated in the centre of Saint-Chinian, it has two bedrooms and a balcony. WiFi internet access. L'Escapada is a perfect base for your winter and summer holidays in Font Romeu, in the French Pyrenees, offering high quality accommodation near ski slopes and walking trails. Three bedrooms, two bathrooms, south facing balcony, sleeps six. Turn of the century village house, conveniently located on the banks of the river Vernazobres in Saint-Chinian, offers perfect accommodation for up to six. 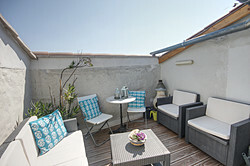 Terrace for outdoor dining, Broadband Internet access. Soak up traditional French village life in this recently renovated village house with air-conditioning, in the centre of the village of Saint-Chinian. Private patio, garden and terrace, three bedrooms, sleeps six. Broadband Internet access. 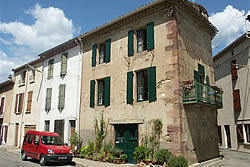 A traditional village house near the centre of Saint-Chinian, once a "cobbler's" shop, which has been modernised to provide accommodation for up to four people. 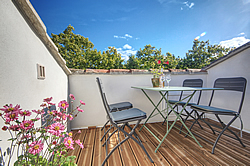 Two bedrooms, two bathrooms, private roof terrace with views. Broadband internet access (WiFi).